The Istanbul-based Ecumenical Patriarchate on Thursday said it had agreed to recognize the independence of the Ukrainian Orthodox Church, in a move welcomed with jubilation by Kiev but condemned as “catastrophic” in Moscow. 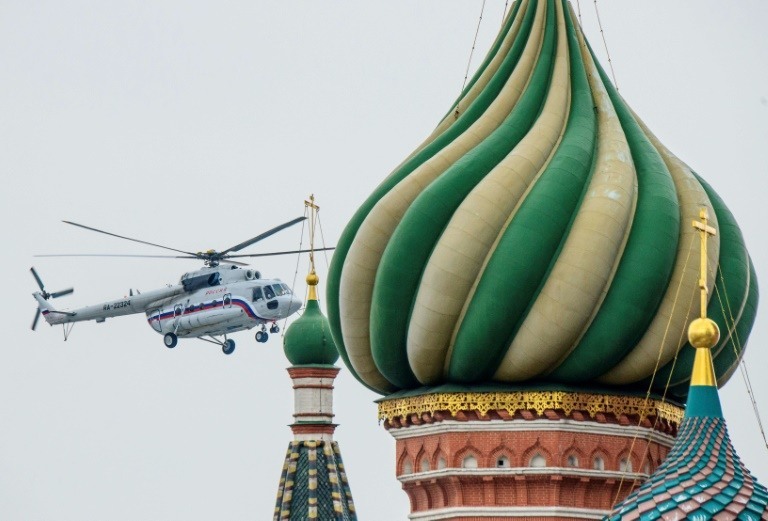 Russia had warned against allowing the Ukraine Church to sever its ties with Moscow, with the powerful head of the Russian Orthodox Church, Patriarch Kirill, travelling to Istanbul earlier this year in a bid to dissuade the patriarchate. The issue is set to play a key role in Ukraine’s March 2019 presidential elections, with incumbent President Petro Poroshenko making independence from the Russian Orthodox Church — known as autocephaly — a key issue as he plans a re-election bid. But the Russian Orthodox Church said that the Patriarchate had taken “catastrophic” decisions both for itself and global Orthodoxy. An Istanbul synod meeting chaired by Patriarch Bartholomew, seen as the first among equals of Orthodox Church leaders, “decreed to proceed to the granting of autocephaly to the Church of Ukraine,” said an official statement read in Istanbul, formerly Constantinople. “Thus, the above-mentioned have been canonically reinstated to their hierarchical or priestly rank,” said the statement after a meeting that began on Tuesday. Ukraine’s Orthodox church split from Moscow in the 1990s, with the charismatic Filaret a foremost proponent of a new independent Ukrainian Orthodox Church. In his first reaction, Filaret said Thursday’s decision would allow his country to finally establish a united church in Ukraine and vowed to soon convene a meeting to address the issue of unification and elect a new patriarch. “We want the Ukrainian Orthodox Church to be united not only in appearance but also in spirit so that it could serve the Ukrainian people,” Filaret told reporters outside St. Volodymyr Cathedral in Kiev. “Of course, people will take to streets and protect their sacred sites,” Hilarion, a bishop in charge of diplomacy at the Patriarchate, was quoted by Russian agencies as saying at a religious congress in Kazakhstan. Bartholomew I, a Turkish citizen of Greek origin who commands huge international respect for promoting inter-faith dialogue, will also not want to antagonize the Turkish authorities who are pressing a policy of a strong alliance with Russia. Russia annexed the Ukrainian peninsula of Crimea later that year and backed rebels who carved out two unrecognized breakaway regions in Ukraine’s mineral-rich east in a conflict that continues to this day. Ukrainian authorities and many worshippers are wary of the influence of Kirill, a strong ally of President Vladimir Putin who has supported the annexation of Crimea from Ukraine and the separatists in the east of the country. Russia's Pension Reform: Beginning of End of Putin's Regime?